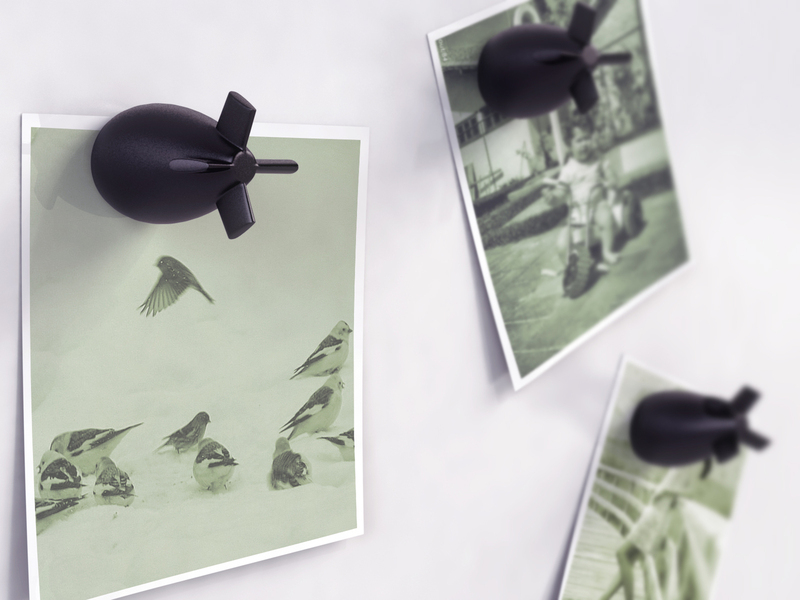 A bombastic way to display your pictures or messages on your refrigerator, literally! Produced and sold by FiftyTwoWays. Everyday we live the illusion of freedom but, in fact, we are just like fishes in a bowl. We are trapped by invisible borders like, ignorance, lies, rules, hypocrisies and old paradigms and concepts. 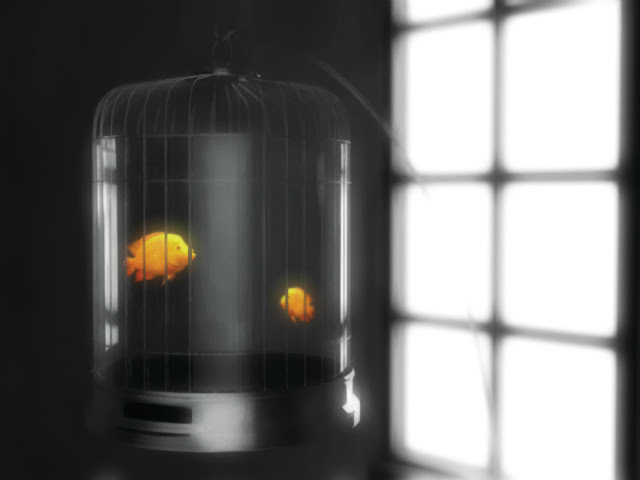 The fish in the bowl thinks he is free, because he has passed all his life in that condition.So do we. 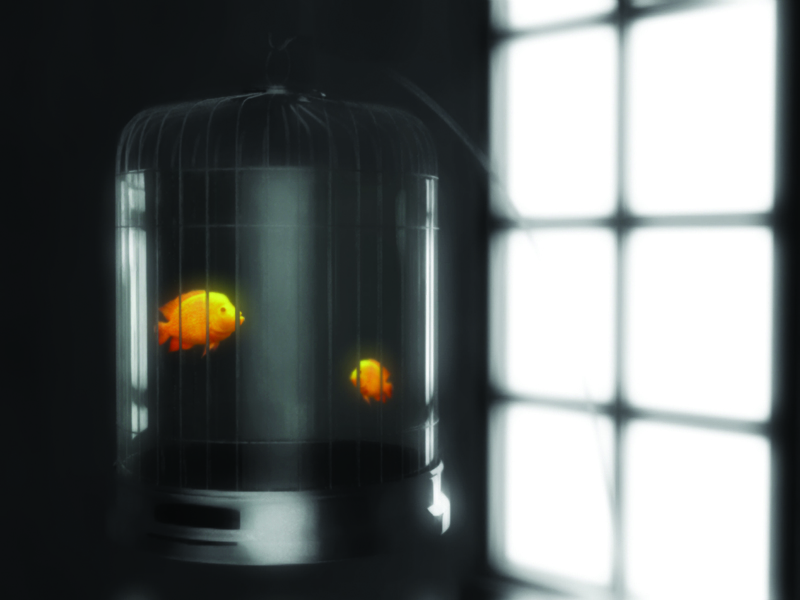 The Fishcage comes to remember us that the first step to be free is finding the real obstacles that keep us away from the real freedom. The name "fast food" is a little misused nowadays. Fruits are the fastest kind of food to eat, not hamburgers. We should change our concepts. 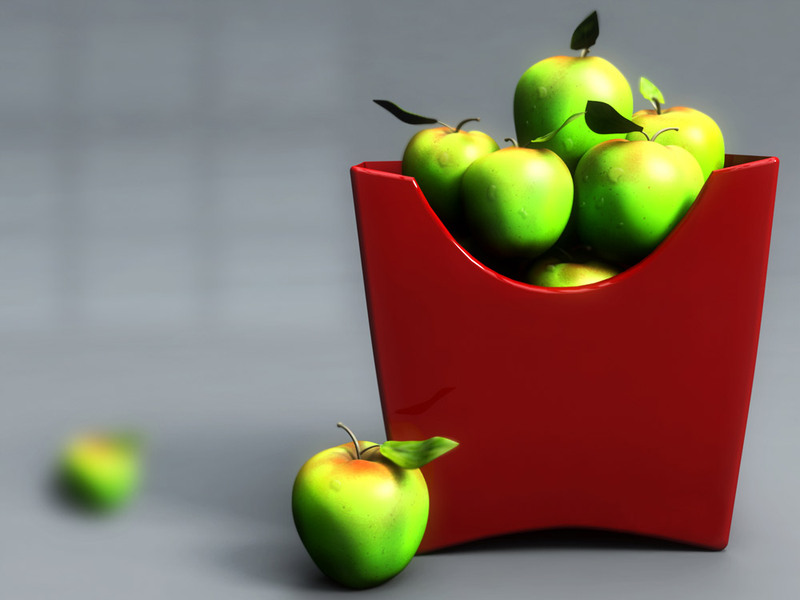 It´s much faster and healthier to buy some fruits. 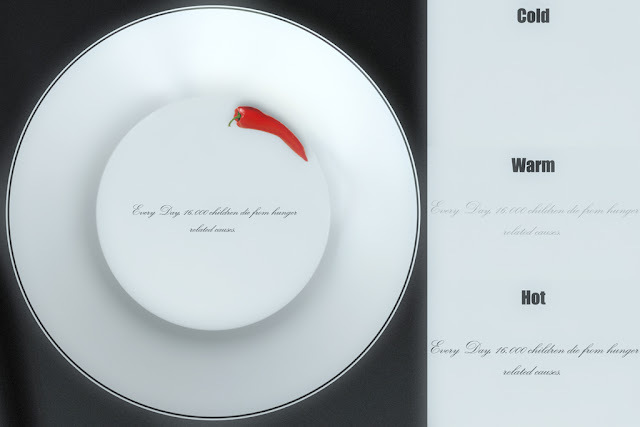 This plate looks like an ordinary plate, in fact it is just a regular plate.Until you put some hot food in it. 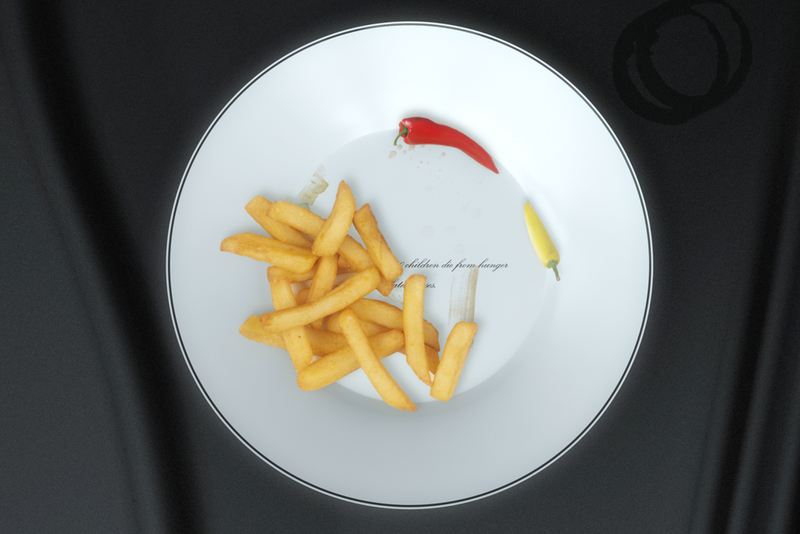 The inside of the plate is printed with undeniable, provocative, bitter and indigestible sentences about hunger statistics in the world. The sentences are printed using heat sensitive ink, so they will only be revealed when someone put some hot or warm food in it. 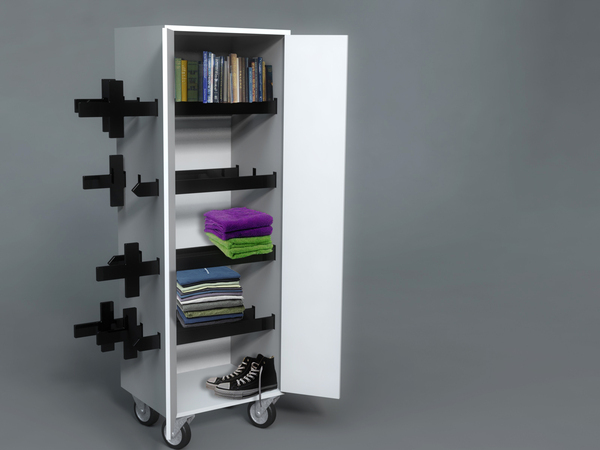 U.D.O (Unidentified Design Object) and it´s a collection of designs with flexible function, that do not fit a specific label or category. The Frame is one of these designs. 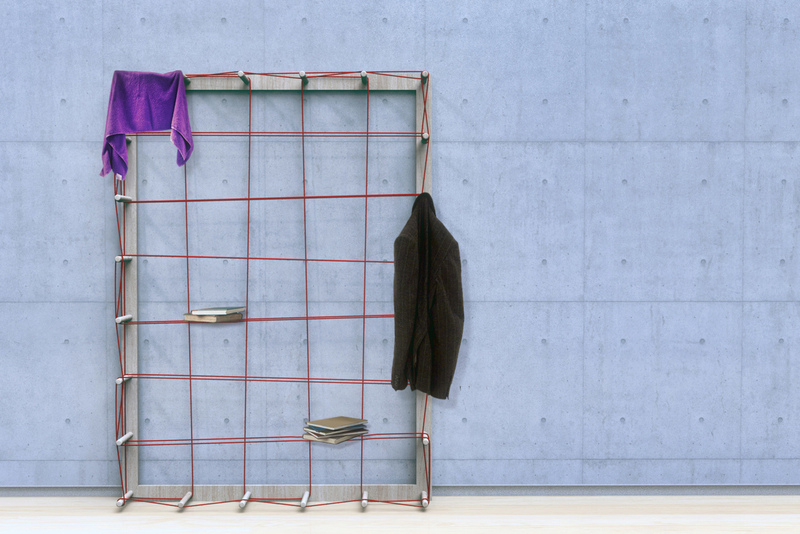 It can be a coat hanger, a bookshelf, a wardrobe or you can just throw things on it. Its basic function depends on how you weave the rope and the possibilities are endless. If you´re the kind of person who likes to throw your clothes anywhere but the closet, this might be the ultimate solution to get rid of those piles of clothes covering your bedroom´s chairs. Here is another design inspired by Alfred Hitchcock. We don´t actually know why Mr.Hitchcock inspires us that much, but we couldn´t resist making a bit of word puzzling with his name this time. 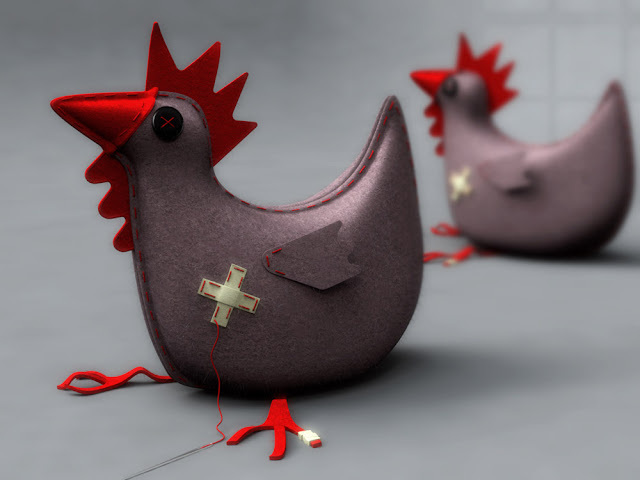 This poor rooster´s task is to keep your doors from slamming and he will accomplish this hard mission even if it costs his own life! It´s supposed to come with a customization kit, so you can sew up some bandages or stitches to heal your friend and make this task easier for him. 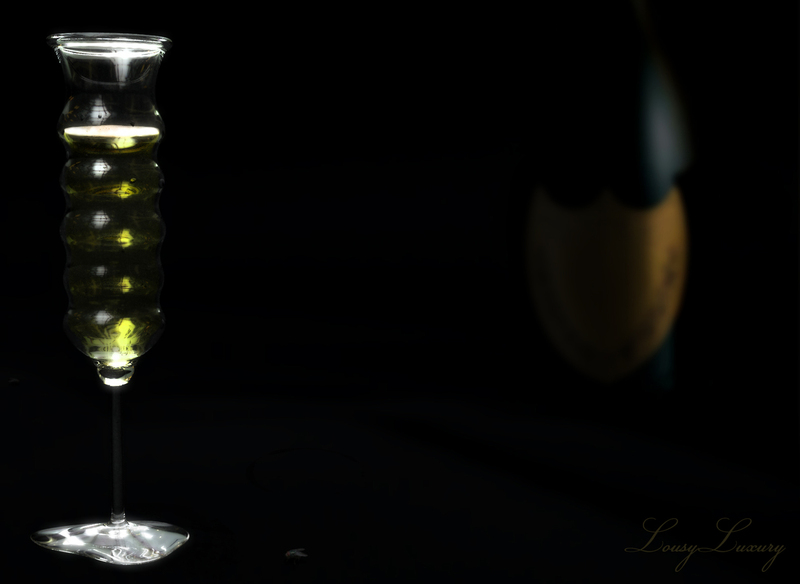 Sometimes, when people drink really expensive Champagne, most part of them have no idea of what they are really drinking. How about if someone fills some very expensive Champagne bottles with ordinary Champagne? I bet that most part of the people wont even notice the difference. What about if we do the opposite? Would someone really enjoy an expensive Champagne, drinking it from a glass shaped as an used condom, which is for most part of the people, a really repulsive object? For some, It might not be a problem. Some people do pretty lousy stuff for money, fame and luxury. 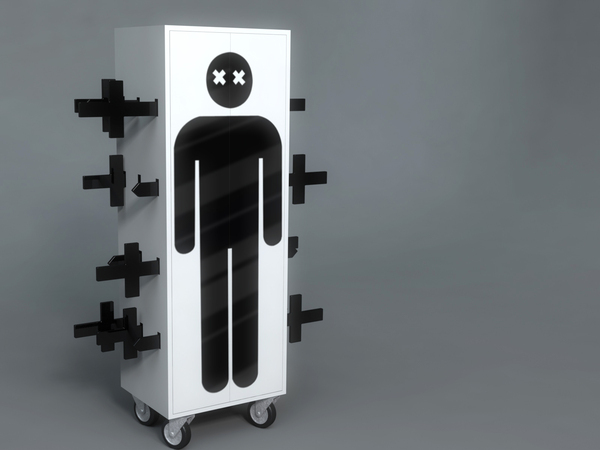 You can use this closet to store whatever you want, books, cds, folded clothes, shoes, etc... You can even take off some swords and use it as a wardrobe, to hang some dresses or shirts. 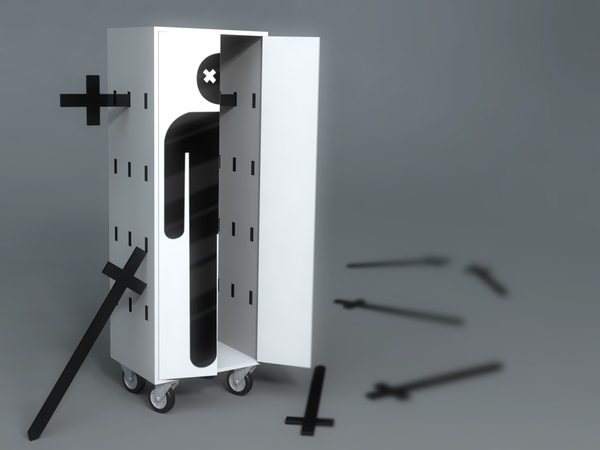 It´s supposed to come with some 3mm acrylic additional shelves, so you can store small items safely, without dropping them in the spaces between the swords. 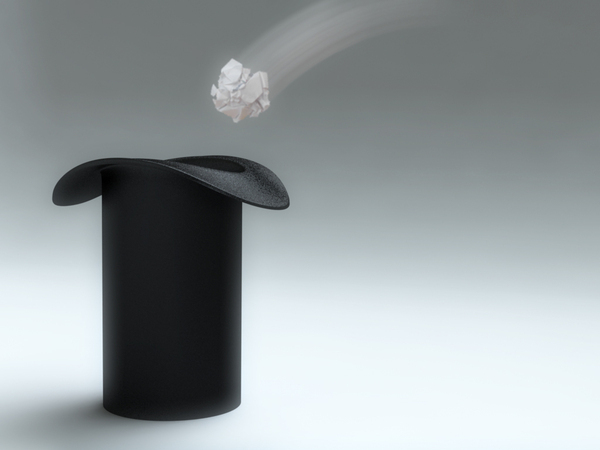 The top hat is an indispensable part of magic shows. 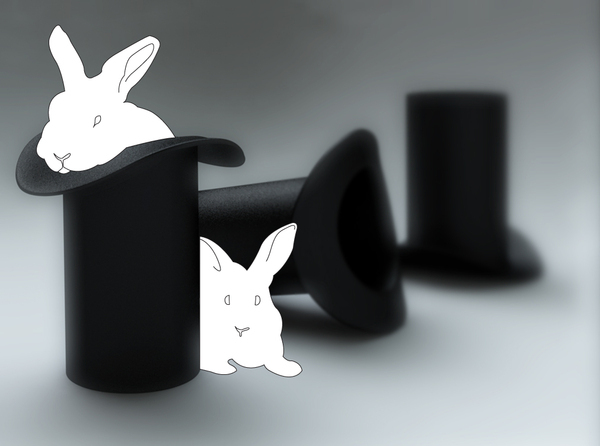 Well, this top hat is not magical and you probably won´t take a white rabbit from it. Although, it will make your trash disappear! You´re going back home at night and, suddenly, you realize that someone is following you! Is him a vampire, an ordinary bum or a serial killer? 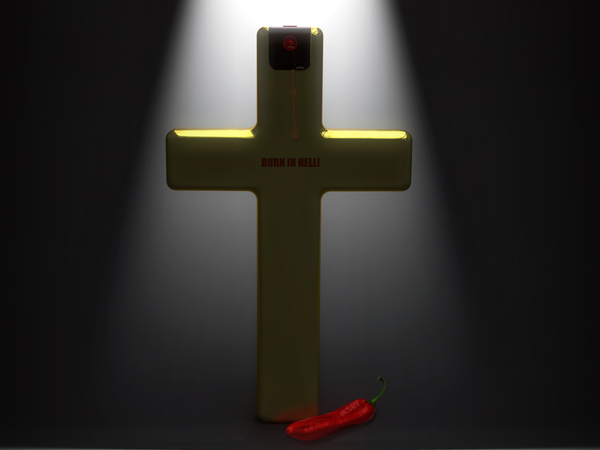 No worries, with this cross shaped pepper spray, you´ll make them all burn in hell! We hope you don´t take this playful idea too seriously , but we are sure that you will really scare most kind of bad guys, when they see you pointing a golden crucifix at them, mostly because they will think you´re completely crazy. Maybe you wont even need to use the spray, in fact. 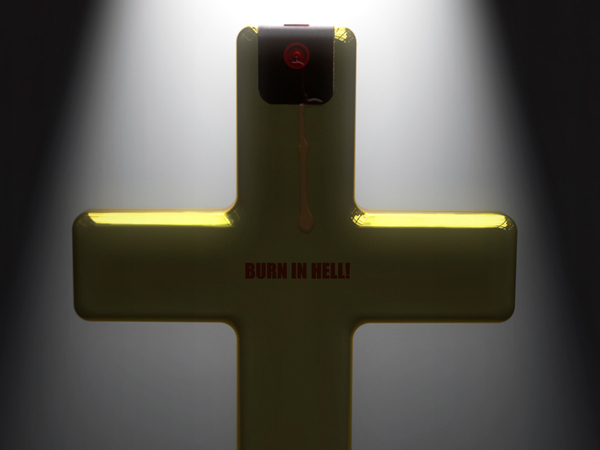 Anyway, it wouldn't be the first time someone gets burned because of a crucifix, right? 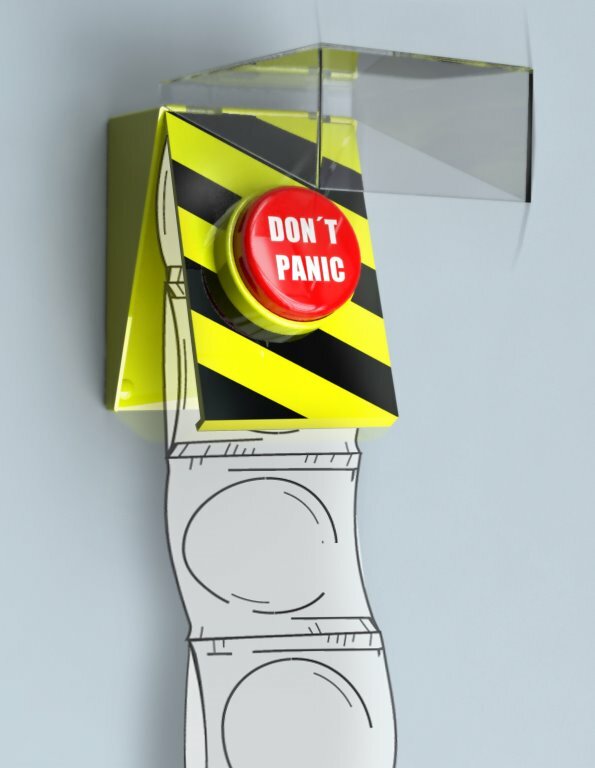 In this particular case, we´ve designed a Don´t Panic button, for those moments you need someone to tell you to relax and do the right thing. 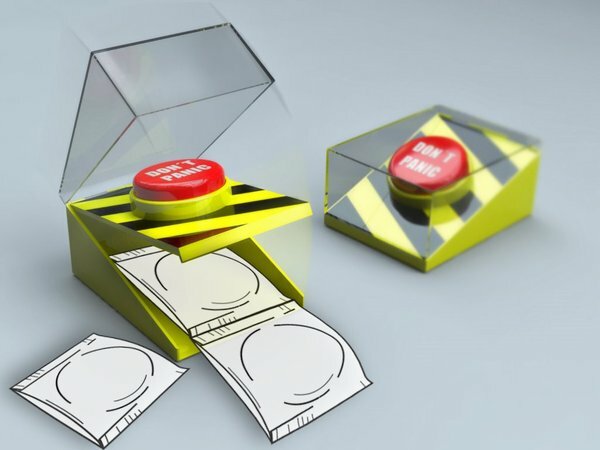 This condom dispenser is ideal to put beside the bed, in the bathroom or even inside the car. 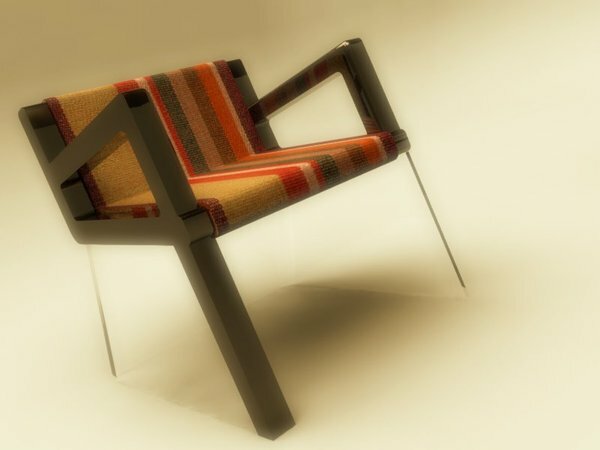 This chair design is a tribute to one of the most popular folk character in Brazil. Saci is a one-legged black elf with holes in the palms of his hands. An incorrigible prankster. 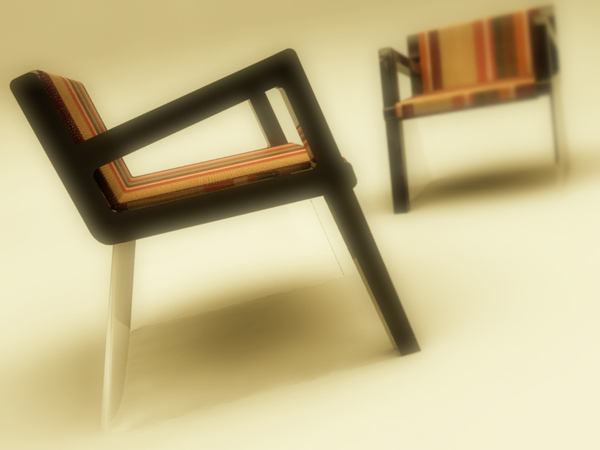 Thanks to a custom "U" molded, skirt like 6mm acrylic sheet, the Saci chair really is a "sittable" chair.